The persistence of AIDS/HIV and the decrease of economic resources have devastated Lesotho and this situation is affecting children’s development. Despite the Kingdom’s effort, 3 out of 5 children live in difficult conditions and 25% of them are orphans. The combination of diseases, hunger, and deplorable economic situation is affecting children’s social security. Like most of its neighbours, Lesotho is confronted with an economic crisis and an increase in poverty. 43% of the population live under the poverty line, with an income of $ 1.25 day. Many children are raised in insalubrious housing without enough food and other social assistances essential for their development. In term of health, the situation is catastrophic. This is partly due to the geographical situation of Lesotho (mountainous region) where families do not have any medical infrastructures or doctors in their neighbourhoods. This type of geographical location does not help authorities to provide immediate care for children in an emergency or a regular medical check necessary for their development. This explains the decrease noticed in the children’s vaccination processes. Generally, it contributes negatively to children’s very poor living conditions. This poverty leads to malnutrition and diseases related to lack of safe drinking water especially in rural areas. Furthermore, Lesotho is the 3rd most affected country by the HIV. Mother to child transmission is as high as sexual transmission and it is the second most common way of transmission. A survey reveals that 27.7 % diagnosed pregnant women show that their children are already infected with HIV. According to the Health and social welfare ministry, among 55 000 infants born every year, 15 225 are HIV infected. Preventive measures are being taken by the Government of Lesotho to reduce HIV transmission but given the enormity of the problem, this is insufficient. Even though physical punishment is forbidden in schools, this practice is still in use. It is also existent in families, the social welfare protection system, the youth justice system, and in society in general. Using physical punishment toward children in Lesotho is accepted by the majority of population. This considerably delays the renouncement of this practice considered as a method of education. Other acts of violence are also committed toward children without impunity by public officers with no inquiry being carried out by the penal justice system. In Lesotho, we observe persistence of this practice of genital mutilations on boys and girls. This tradition is against human dignity and violate different rights of children include the right to live and to have a protection against cruel mistreatment, inhuman and undignified acts. 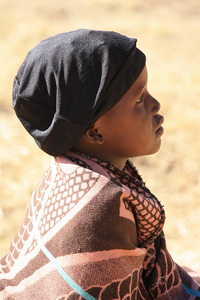 Excision, a form of genital mutilation still in practice in many localities in Lesotho, can have serious health consequences because of poor health conditions. It’s very common to see this practice resulting in infection and bleeding among young women. On the other hand, masculine circumcision carried out in bad sanitation conditions can be dangerous to the health of children. It’s also worrying to notice a decrease in personal health. This can have a bad effect in the service provided. Resources allocated to education in remote areas are almost inexistent. In fact, herder children (children living in extreme poverty or children living in very remote area) still do not go to school. One of the reasons is also the fact that extreme poverty forces many parents to send their children to work in order to help themselves instead of sending them to school. Regarding the general state of education, there is a shortage of qualified teachers, deficient infrastructure, and a lack of manuals. In addition, schools are overcrowded; a situation that does not encourage a good education and leads to many dropouts and grade repeats. In fact young girls who become pregnant during school terms are usually excluded from their school. Such a measure is not only discriminatory toward young girls but also in a violation of their right to education. Although the principle of non discrimination is established in the constitution, discrimination continues to affect the rights of children; especially young girls. Main victims are children born out of wedlock which causes problem among families. Most of these children – particularly those from poor families – have no access to education or healthcare. This can be explained by the humiliations faced by their mother when they try to obtain paperwork for their children. The second victims of discrimination are children living with HIV. These children are isolated and stigmatised in society by other people. Other kinds of stigmatisations are those noticed in children living in rural and remote areas: children born out of wedlock, pregnant girls, disabled children, street children and children from ethnic minorities. 19% of young girls are married before the age of 18. This is physically and psychologically damaging for young girls and they don’t necessarily measure the consequences and obligations of such actions. Besides, it’s not uncommon to see married girls raped by their husband even though sexual abuse among couples are condemned by the law. This can have a serious impact in the health of these young girls. Underage marriage is partly due to the poverty of their parents who wish to get rid of hungry children. Another reason is that the dowry parents receive in exchange of their children’s hands can be a real source of income for certain families. 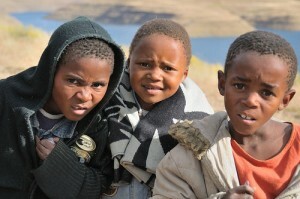 Although child registration is mandatory in Lesotho, the registration rate is very low (45% of children are registered). This is due to the fact that the registration procedures are inaccessible (particularly for populations living in rural and mountain areas) and generally very expensive for the population. Children are not all registered at birth and are not recognized as full members of the society. 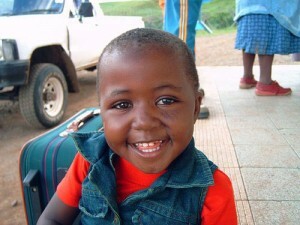 In Lesotho, the level of children forced to work is very high and is increasing. In fact 10 to 14 % of boys in school age are herders and 18% among them are not employed by their own families. 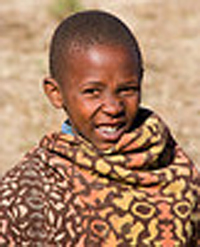 Herding is the most common form of child labour in Lesotho but it is also the most dangerous. Boys are also employed as street retailers, porters or textile industry workers. They are sometimes abused by their employers. There is a high rate of illiteracy among these children because they have little access to education and most of the times do not benefit from national programmes. In Lesotho, the age of criminal responsibility is very low (7 years old). This is contrary to the Convention on the Right of the Child. Certain children are detained in inhuman conditions (lack of hygiene, overcrowded prisons), which is also contrary to the Convention on the Rights of the Child. Certain practices and customs can restrict the application of the children’s freedom of opinion and expression. This is the case of young girls that do not have the right to give their opinion in the decision making. In addition, the legal court system does not take children’s testimonies very seriously. It appears that children are not respected and that this situation is aggravated by the gaps in the implementation of the right of the children stating that children should be listened to. It’s therefore necessary in Lesotho to encourage and respect child freedom of opinion -especially young girls – in schools, families, and the health and judicial system, and to promote the right of children to participate.